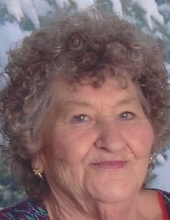 Dorothy M. Stiffey, 81, passed away Friday, April 5, 2019 at her home in Elizabeth. She was born December 14, 1937 in Elizabeth, IN the daughter of Albert and Carrie Langsdon Knear. She was a nurse’s aide at Floyd Memorial Hospital and a homemaker. She was preceded in death by her parents, her husband, Paul J. Stiffey, infant daughter, Jennifer Hurley, Brother, Jackie Knear and sister, Marilyn Cox. She is survived by three sons, John F. Hurley (Pauline) and Preston A. Johnson (Tammy) both of Elizabeth, and Dale W. Johnson of New Albany; three sisters, Patricia “Joe” Fish (Kenny) and Helen Coke (Donald) both of Elizabeth and Evelyn Chase of Anderson, IN; five grandchildren, John F. Hurley, III, Katelyn J. Hurley, Kayla D. Grasch (Thomas), Jessica Johnson and Alisha Duvall; three great grandchildren, Savannah Grasch, Jeremy Rose, Jr. and Jacob Lawrence. Funeral services will be held at 2 PM Tuesday, April 9, 2019 at Gehlbach & Royse Funeral Home in Corydon, IN. Rev. Richard Goodwin will officiate. Burial will be in Glenwood Cemetery. Visitation will be from 10 AM until the service time at 2 PM also at the funeral home in Corydon, IN. To send flowers or a remembrance gift to the family of Dorothy M. Stiffey, please visit our Tribute Store. "Email Address" would like to share the life celebration of Dorothy M. Stiffey. Click on the "link" to go to share a favorite memory or leave a condolence message for the family.